It was a strike of fate that pulled the rug from under Vivienne’s life that who athletic and so fun-loving. A few years later, in the year 2000, thanks to the sensitive experience of Master Rong Jun, her soul found the bridge back to new energy and the power of life through the movements of Tai Ji and the philosophy of Dao, at that time new to her. The deep respect for this old and envigorating martial art that involves all areas of one’s life, accompanied her to success in various competitions. Furthermore it opened insight to traditions, culture, language and mentality of the old and the modern China. During the annual trips to China organized by Master Rong, she intensifies her Tai Ji skills and deepens the professional education. The acting out of soft, flowing yet powerful movements based on the balance of Yin and Yang and expressed in forms of different styles by Tai Ji Quan (fist), sword, sabre or fan, is the source of daily energy and calmness at work, in the family and daily life. 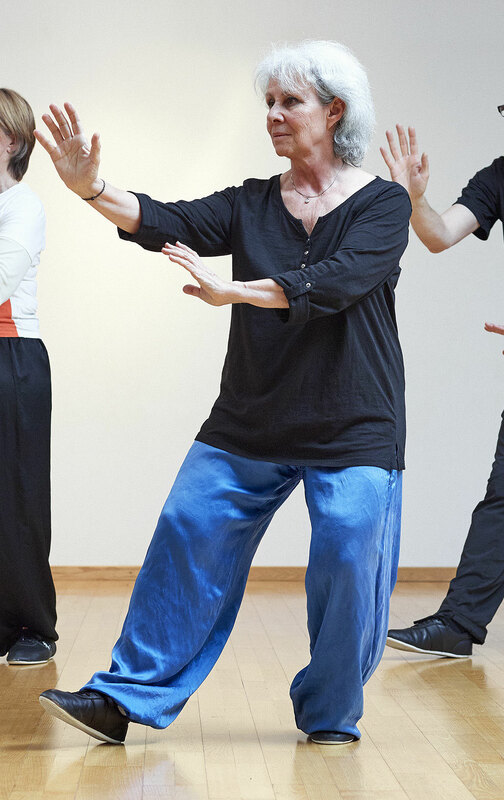 The professional education she acquired allows her to enjoy teaching the forms and the power of Tai Ji.